The IR301-U is a contact smartcard reader that enables smartcard applications to be deployed on iOS devices. 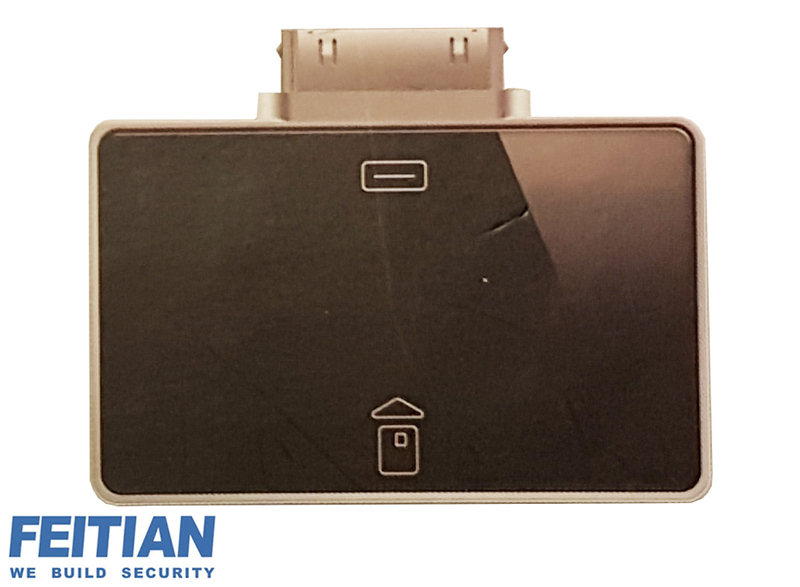 Part of a range of readers that includes both plug-in and outer casing devices for most iPhones and iPads, the IR301-U also features a micro-USB port and CCID compatibility, providing additional support for other operating systems including Windows, Linux and Android. 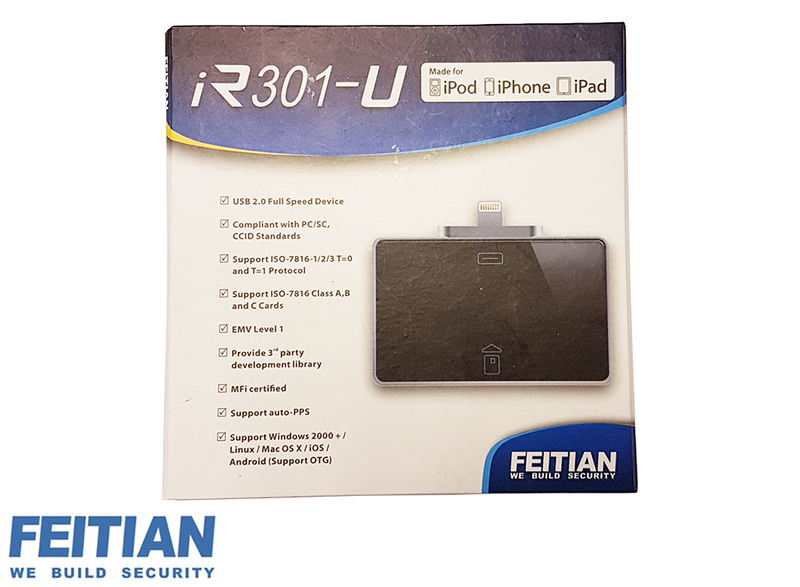 This version of the IR301 comes with an Apple 30 pin dock connector and is primarily designed for use with the iPhone 3/4.